Versadial’s call recorder is capable of capturing proprietary NEC VoIP call details without SMDR or CTI integration. This added capability reduces the installation time and cost for implementing a recording solution for NEC VoIP. Similar to our previous implementation with Cisco Skinny, or Avaya H323, our latest integration, and support of NEC flavor of SIP protocol signaling allows for easier configuration, less time maintaining, less risk of lost data (making a more reliable connection), and less cost for you in licensing with NEC. 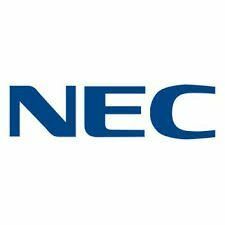 Before, obtaining call details required an additional license from NEC as well as configuration and integration via SMDR. Which was both time consuming and not always reliable in obtaining the data desired. Now, with integration with NEC VoIP signaling (SIP based) we no longer need SMDR to capture call details. Versadial has fully tested with NEC SV9300, SV8300 phone systems, and DT710 phones. Versadial’s call recorder is capable of recording a variety of proprietary digital NEC phones. Extra call details, if needed, can be obtained via SMDR or CTI integration. There are several dozen proprietary digital NEC phone models listed in our complete list of PBX and Phone manufacturer page. For details about our software UI and features please see our VSLogger Call Recording Solution page.